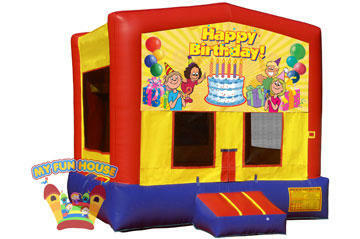 Bounce House & Party Rentals | MyFunHouse.Rentals Richmond VA. 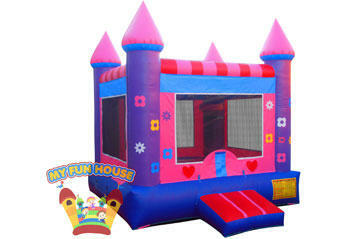 Thank you for visiting My Fun House Rentals, your best choice for inflatable fun. Here you will find great deals on party rental favorites like bounce house, combo bouncers, obstacle course, slides and tasty concession machine rentals. All design to the "bring the Fun" to your next party or event. We provide party equipment delivery service throughout the greater Richmond, Virginia area and its surrounding communities like Powhatan, Midlothian, Belona, Tabccoville, Clinton, and many more. For more information on deliveries to your specific address, just give us a call and we will be happy to assist you. All of our rentals are cleaned and sanitized before every rental and our company is licensed and insured in the State of Virginia. Getting your party of to a great start is easy as one, two, three at My Fun House, with our new online reservation system. Just click the link below and enter your event date and time. Then as you browse the site you'll see all the exciting rental items available on your party date. As you see an item you want, just click the "Add to Cart" button and proceed through checkout at anytime. You can continue browsing and add more items or just complete your reservation. Click the button and let's get this party started! The American classic Bounce House rentals. These exciting inflatables are the ones that started it all. Large bouncers areas with colorful exteriors. So lets get Bouncing! Now you can get your favorite bouncer with a theme that fits your party needs. We have units with and without slides. 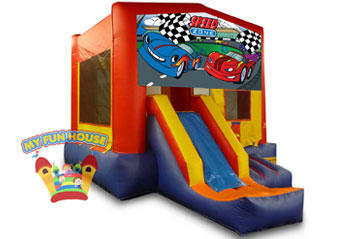 Choose the Birthday bounce or the cars theme. Combo Bouncers add value and more fun to your party. Combos get their name from being a "Combination" of the popular bounce house and extra features like climb & slides. 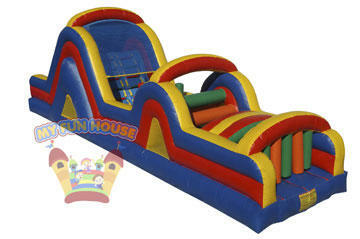 Obstacle Course rentals are a great choice for schools, church groups, and company picnics. Get your team together and take the challenge. 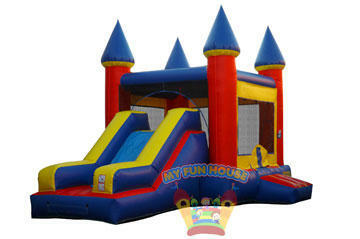 Inflatable slide rentals are a great centerpiece attraction for any party or event. 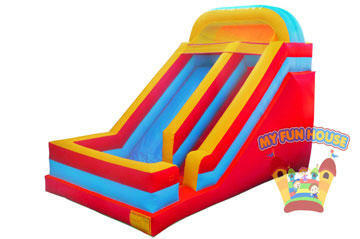 Big, bright and exciting, these inflatable slides will be a hit! Save big on your party with one of our discount party packages. Get the bouncer, balloons and matching themed cups, plates, and plasticware. My Fun House has you covered for those extra items you might not think of. 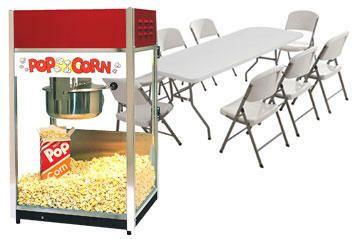 Choose from popcorn machines, hot dog warmers, and tables and chairs. Make sure everyone gets a seat at your event! And for when your celebration is at one of beautiful local parks or other outdoor area you will need to provide your own electrical power source, and our generator rentals will be just the tickets. What's a party without balloons? 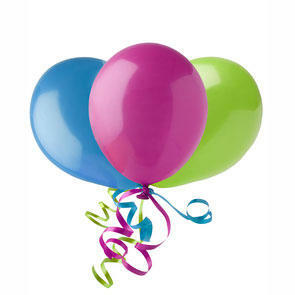 My Fun House Rentals has a great selection of helium filled balloons that will accent your party perfectly. You don't have to worry about filling them yourself, just leave it us. Choose from a wide assortment of in-stock colors, and if you're looking for something special just let us know, we can help with that too!